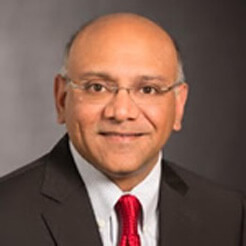 Dr. Suresh Venkatesan joined POET Technologies from GLOBALFOUNDRIES where he served most recently Senior Vice President, Technology Development at GLOBALFOUNDRIES and was responsible for the company’s Technology Research and Development. Dr. Venkatesan joined GLOBALFOUNDRIES in 2009, where he led the development and ramp of the 28nm node and was instrumental in the technology transfer and qualification of 14nm. In addition, he was responsible for the qualification and ramp up of multiple mainstream value added technology nodes. Dr. Venkatesan is an industry veteran with over 22 years of experience in semiconductor technology development. 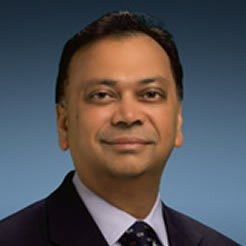 Prior to joining GLOBALFOUNDRIES, he held various leadership positions with Freescale Semiconductor in Austin, Texas. Dr. Venkatesan holds over 25 US patents, and has co-authored over 50 technical papers. He holds a Bachelor of Technology degree in Electrical Engineering from the Indian Institute of Technology and Master of Science and PhD degrees in Electrical Engineering from Purdue University. Mika previously served as the Chairman of the Board of Rennova Health, the successor company to CollabRx and its predecessor, Tegal Corporation, a semiconductor capital equipment company. Since 2005, he has been the President and CEO, and at times the Acting Chief Financial Officer of CollabRx and Tegal, retaining those positions following its merger with Rennova Health in November 2015. Previously, Mika co-founded IMTEC, a boutique investment and consulting firm, serving clients in the U.S., Europe and Japan over a period of 20 years, taking on the role of CEO in several ventures. Earlier in his career, Mika was a managing consultant with Cresap, McCormick & Paget and a policy analyst for the National Science Foundation. He holds a Bachelor of Science in Microbiology from the University of Illinois at Urbana-Champaign and a Master of Business Administration from the Harvard Graduate School of Business. 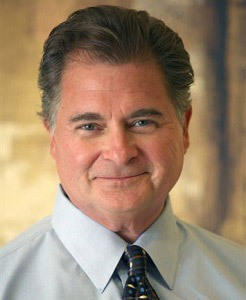 Zoccolillo most recently served as the Vice President of Systems Manufacturing at Infinera, where he was responsible for overseeing both internal and contract manufacturing. Previously, he held multiple roles at Opnext (acquired by Oclaro), including President of the Pluggables Business Unit and General Manager of Optical Subsystems. Prior to Opnext, Zoccolillo held a number of management positions during his nearly 16-year tenure at Lucent Technologies, AT&T Bell Laboratories. These roles included General Manager of the Lucent Metro WDM business, Director of Product Management for both Lucent’s SONET systems and SDH systems, and a variety of roles in Lucent's consumer product organization. Previously, he served in various roles in planning and product development at AT&T Bell Laboratories. Zoccolillo served on the advisory council for Monmouth University’s School of Science and Technology. He holds both Bachelor and Master of Science degrees in Computer Science from Polytechnic University of New York. 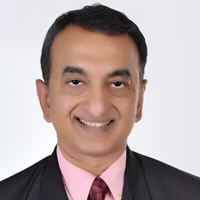 Rajan has over 28 years of global corporate experience spanning Asia, Europe and US. He brings a wide spectrum of knowledge in the semiconductor industry with demonstrated leadership in technology, operations and customer/product management with a strong focus on new product introduction, yield, quality and fab operations. Before DenseLight, Rajan was the President of GaNStar, a startup in the Gallium Nitride space. Prior to that, he was the VP of Global Quality at Micron Technology leading a team of 500+ people spread across 12 different countries with a clear focus on achieving “World Class Quality”.Before Micron, he spent 18 years at GLOBALFOUNDRIES in various VP level in quality, operations, process/yield engineering and customer engineering. He started his career in R&D at Texas Instruments in Dallas, TX. Dr Lam received his B.Eng in Electrical and Electronic Engineering (First Class Honors) and his MSc in Industrial Engineering from the National University of Singapore., and his MSE and Ph. D. in Electrical Engineering from the University of Michigan, USA. 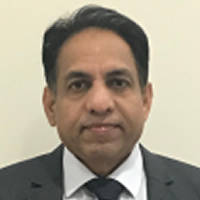 In 1985, he began his career with the Singapore unit of a UK-based multinational company in developing building automation products and subsequently establishing its manufacturing operations. From year 1990 to 2000, he was a professor in the School of Electrical and Electronics Engineering of the Nanyang Technological University of Singapore. Notable appointments in the University included Head of Microelectronics Division, Principal Staff Officer to the University’s President, and member of the NTU Council (University’s Board of Governors). In Year 2000, he led the founding of DenseLight Semiconductors and raised a US$31.2 million VC Round from 3i-PLC (to establish a InP Optoelectronics Wafer Fab), and subsequently in 2003-2004 (despite negative market sentiment post 2002 photonics-crash) he raised US$8.6M to realize self-sustaining business operations by 2005 with revenue from products and services for its photonics sensing and test customers. He continued to serve as DenseLight CTO after the company was acquired by POET Technologies in May 2016. Dr. Lam’s area of technical expertise is in optoelectronics, fiber-optics sensors, and photonics systems applications, and has contributed to some 300 publications and 60 patents. For the past 25 years, he has been a significant participant in a number of key initiatives to promote the growth of photonics-related research and industrial development in Singapore; and he is still doing so today. 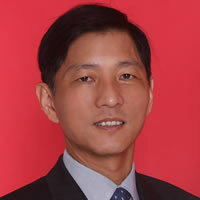 Prior to co-founding DenseLight Semiconductors, Dr Chan was professor in NTU and was the coordinator of the university's Photonics Research Group. He managed the university's photonic devices fabrication Lab and within a short span of 2.5yrs, expanded facilities into a cluster to service industrial programs and published more than 180 scientific and industrial papers. Dr Chan brings deep expertise in industrial device fabrication development, component structural design, opto-electronic epitaxial and grating re-growth. With experience dating back to University of Tokyo, Dr Chan did the then pioneering work developing the tensile strained quantum well growth technique on GaAs for polarization insensitive optical modulation. 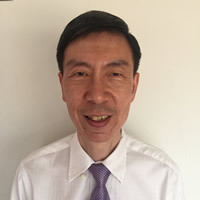 In NTU, he won many industrial funding programs and led large-scale project teams for photonics device research and manufacturing fabrication. These programs include epitaxial growth by MBE, MOCVD and LPE and characterization of quantum well structures, laser diodes, optical modulators, photo-detectors and PICs. His accomplished experience in leading fabrication teams resulted in DenseLight owning significant structure fabrication competence IP and the capability to rapidly rollout PIC product. Dr Chan pursued his education as a distinguished Public Service Commission Monbusho Scholar and received his B.Eng, M.Eng and PhD degrees in Electronics Engineering majoring in Optoelectronics, all from the University of Tokyo in Japan. Andy brings to DenseLight over 15 years of manufacturing & R&D experience in Optoelectronics & Laser Physics with focus on high power lasers, Fibre amplifiers & LIDAR. Prior to joining DenseLight, he was the CTO of iLuma Photonics, where he lead the development of award winning industrial laser products. He designed, developed and built manufacturing and production process from scratch, using lean & modular manufacturing methods. In addition to this, he was also worked with suppliers to ensure they met iLuma’s stringent quality & reliability requirements. Before joining iLuma, Andy spend a number of years as a laser development engineer, spending time developing among other things, Red Energy Pulsed laser modules. Andy has doctorate and a BEng Degree with 1st Class Hons from the University of Southampton, and in named as co-inventor in a number of patents. Subbu has had multi faceted experience in developing customised solutions, technology development to qualification and successful product ramps. 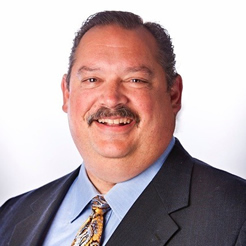 He has over 30 years of Semiconductor experience with 25 years in Foundry Engineering including Global Foundries, where he was a senior Director responsible for Process Integration & Product Engineering. His career covered multiple tech nodes and platforms - Logic, HV, NVM, RF SOI & Silicon Photonics. He brings to us organisational and technical leadership with the ability to deliver value to the company and to customer alike. He is well versed with technology, Operations, Customer management, Business processes and Quality systems. Subbu holds a Masters Degree in Industrial Physics from IIT Kharagpur, as well as a Masters Degree in Physics from University of Hyderabad. He holds 11 US patents and has published papers in technical journals. Soma has +20 years of field experience in Opto-electronics, Datacom & Telecom. He held numerous sales as well as product and field engineering roles at Avago, Agilent and Hewlett Packard. Most recently, Soma led the sales activity in the South Asia Pacific region for CREE® , a leading global innovator of LED lighting, where he successfully identified and penetrated multiple new countries and implemented sustainable long-term growth strategies. Soma has a B.Tech (Hons) degree in Electronics & Electrical Communication from the Indian Institute of Technology, Kharagpur and an MBA from the University of South Australia.